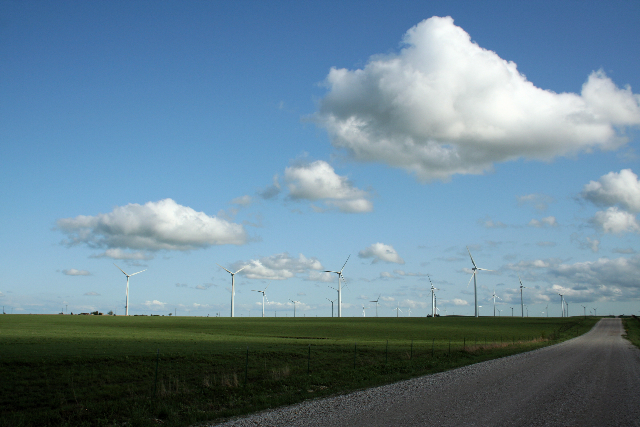 MSE Creative Consulting Blog: Enthusiasm for Wind Energy Calming? The memo adds that the project's corporate backers "would provide little skin in the game (equity about 10%)," while the government would provide "a significant subsidy (65+%)." The memorandum also questions the project's environmental benefits, saying carbon dioxide emissions "would have to be valued at nearly $130 per ton for CO2 for the climate benefits to equal the subsidies (more than six times the primary estimate used by the government in evaluating rules)." You may recall from this posting on November 8, that the value of a ton of CO2 had dropped to less than 5¢. So, it "only" has to rise 2,600 times for the wind power project to pay off. Not very likely. I believe there are good reasons to believe that solar will eventually be success. Nuclear, especially the newer reactors, has huge potential. Wind still isn't ready for prime time.